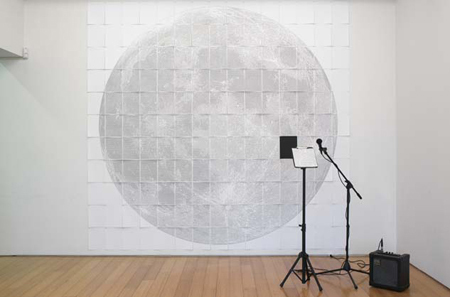 Consisting of sheets of paper tiled to represent an image of the moon, upon closer inspection, the design is made up of text that reads, “I Create as I Speak.” A single sheet is removed from the wall and rests on a lectern, with a microphone and a portable amplifier, inviting the viewer to interact with the work. 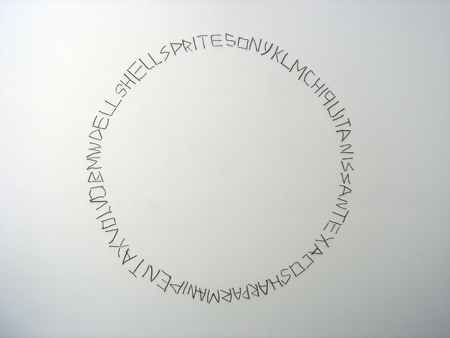 The text plays with words; “I Create as I Speak” translates to ABRACADABRA in the ancient Aramaic language. 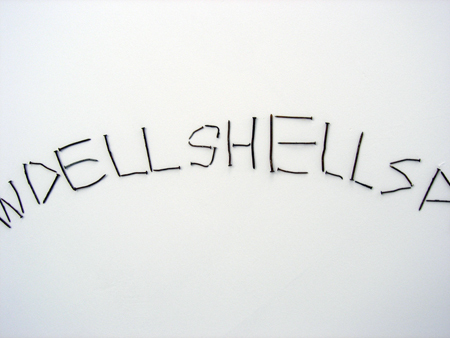 This work consists of rusty nails put on the ceiling composing the names of different global corporations like Shell, Pentax, Texaco, BMW…. 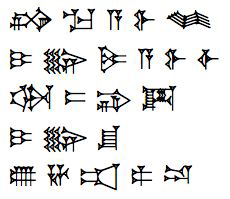 The 196th Law (“an eye for an eye..”) of Hammurabi, King of Babylonia, using graphics, in three different modes of cuneiform script, illustrating the evolution of signs over time. 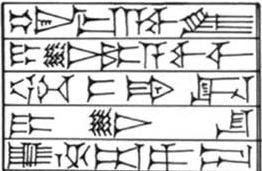 The first is the original Old Babylonian version (around 1750 BC), the second is in Neo-Assyrian signs (around 1000 BC), and the third is in the classic Sumerian signs used about 400 years before Hammurabi’s reign. 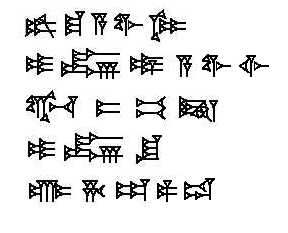 Below that follow a transliteration into Akkadian and a translation into English. In both computer science and information science, an ontology is a data model that represents a domain and is used to reason about the objects in that domain and the relations between them. 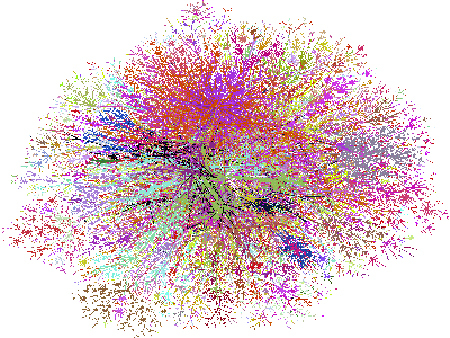 Ontologies are used in artificial intelligence, the semantic web, software engineering and information architecture as a form of knowledge representation about the world or some part of it. 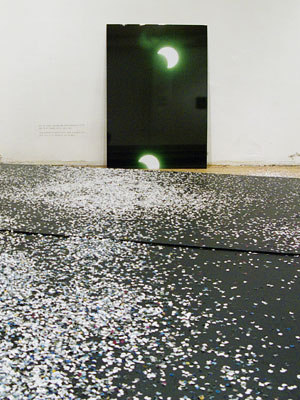 Swoogle is a search engine for the Semantic Web on the Web. Swoogle crawl the World Wide Web for a special class of web documents called Semantic Web documents, which are written in RDF (Resource Description Framework). Swoogle is a research project being carried out by the ebiquity research group in the Computer Science and Electrical Engineering Department at the University of Maryland, Baltimore County (UMBC). 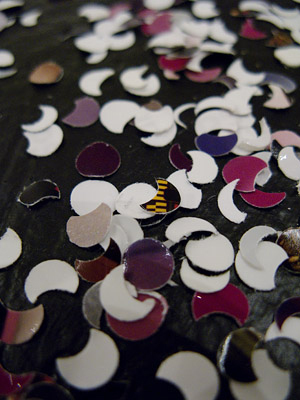 You are currently browsing the archives for the Etymology category.